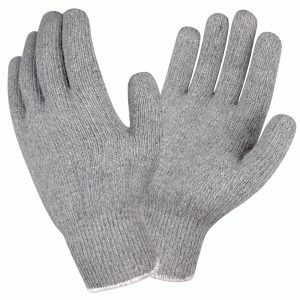 Terry gloves with loop-in are typically preferred when working in higher abrasion applications. Loop-in terry is also used for cold storage/cooler work. 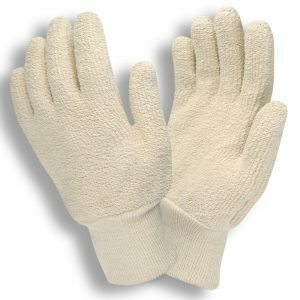 Loop-out cotton terry gloves are primarily used in light heat applications. 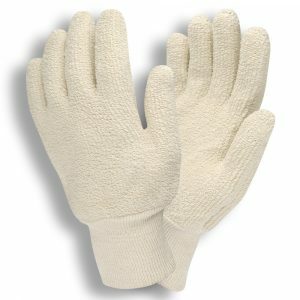 Loop-out terry lets air pass through, cooling down the cotton, which a good heat-absorbing material.